El Pan Le Más Fácil del Mundo! In an semi-epic personal journey of finding the simplest most intuitive naturally leavened bread possible, I have finally triumphed. Let the doves free! Cue an orchestra of angels! OK, so how did I do it? With a little help from my friends! Follow the simple recipe below with distilled wisdom… and you’ll wonder why there could ever be mystery around such an easy thing. – Add a cup or two of flour and warm water to your starter until it’s like thick paint. Leave overnight in a cold place. – Add flour (the amount you need) and salt (to taste), warm-hand hot water until you get a lovely, slightly tacky (but not sticky) dough. – Shape into loaves. Take out a golf ball amount of dough – this is your new Starter! If you have any questions about how to start a starter, email Sustainable Living and we will tell you how easy it is! 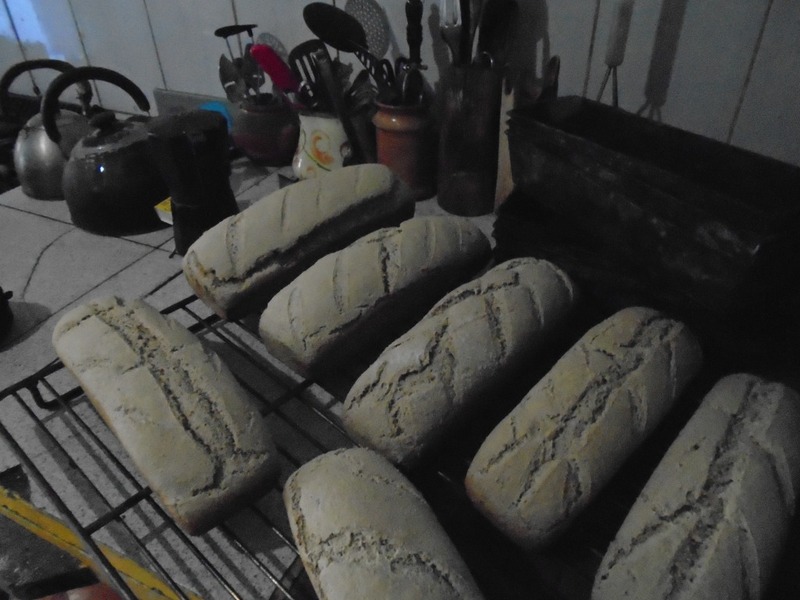 Esta entrada fue publicada en Noticias de Sunseed, Vida sostenible, Tutorial y etiquetada bread, recipe, sourdough, yeast-free. Guarda el enlace permanente.